was named after a fossil (gryphea) that can be found in the grounds of our domain. 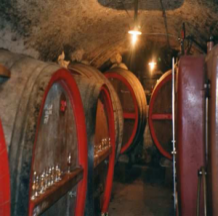 They produce different types of high quality wines all year long. 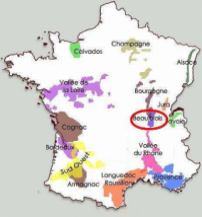 Beaujolais Nouveau is a wine from the Black Gamay with white juice, harvested in September, manually. Throughout the years, we provide ongoing care and attention to our vines to get healthy grapes we pick at full maturity. Each of our vineyards has its own personality, due to soil and exposure, and we respect during winemaking, having the chance to have vines spread over different terroirs. Service: wine tasting at 13 degrees. Its fruity side persists for more than 6 months and it will be pleasant to drink throughout the year. Eye: beautiful purple dress, shiny. Nose: very expressive aromas of red berries and fresh grapes. Mouth: After a crazy attack, the wine is smooth, without acidity. 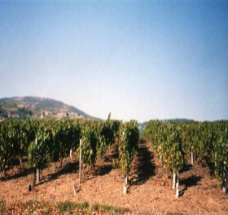 The fruity flavors are very typical of the Gamay grape.